I was born with thick, wavy hair and do not have the luxury of being able to just wash my hair and let it air dry. It would be a frizzy mess if I did, YUK! I always have to blow dry it straight and then either curl it with a curling iron or use a flat iron to straighten it. Let's just say all of these steps take up so much time when I'm getting ready to go out. Such a pain! 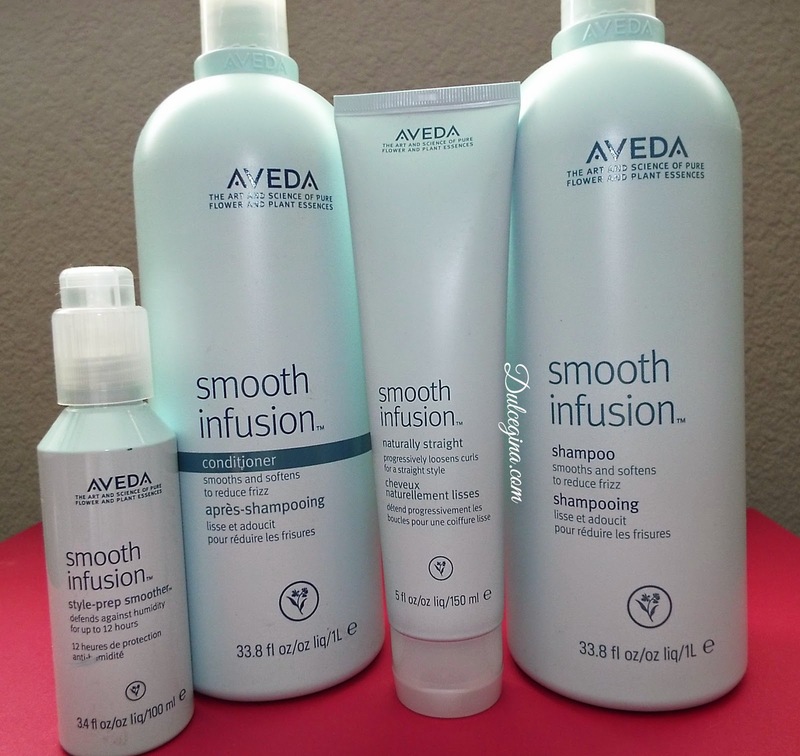 Recently, SheSpeaks gave me the opportunity to try Aveda Smooth Infusion Naturally Straight, #AvedaNaturallyStraight. It's a styling creme that over time loosens curls every time you use it. As you straighten your hair, Aveda Smooth Infusion Naturally Straight’s naturally derived plant fibers invisibly attach to hair to loosen curl and help lock in straightness. The formula’s humidity barrier of organic cassava extract and maize defends against frizz. The more you use it, the easier it is to create straight, smooth styles, so you can spend less time with a blow dryer and flat iron every day. 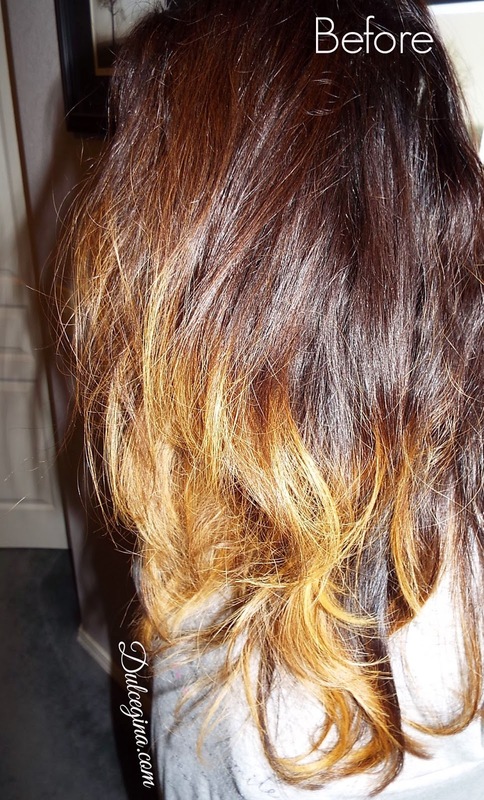 It is safe for relaxed and color treated hair. After five consecutive applications of Naturally Straight hair will stay straight for up to three washes. Go from naturally curly to naturally straight. 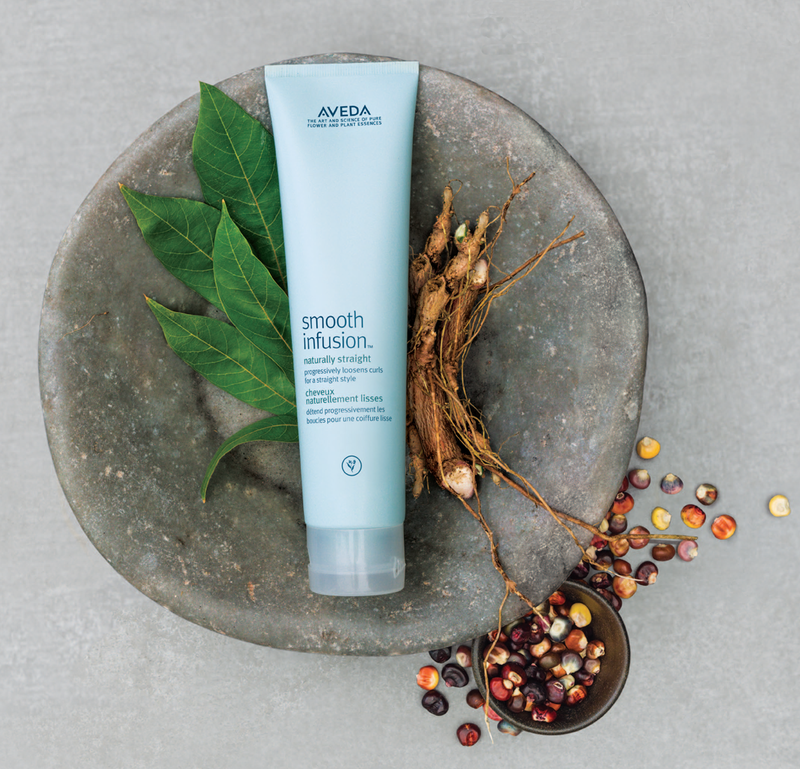 Aveda Smooth Infusion™ Naturally Straight is a lightweight styling creme that progressively loosens curls every time you style. Step 1: Wash hair with Aveda Smooth Infusion™ Shampoo and follow with Aveda Smooth Infusion™ Conditioner. Towel dry hair and comb through. Step 2: Apply Aveda Smooth Infusion™ Style-Prep Smoother to damp hair, by working it through from the mid-shaft through the ends of hair. Step 3: Apply Aveda Smooth Infusion™ Naturally Straight. Depending on hair length and thickness, start by using approximately a small coin sized drop of Smooth Infusion™ Naturally Straight styling creme on towel-dried, still-damp hair, applying it one section at a time. 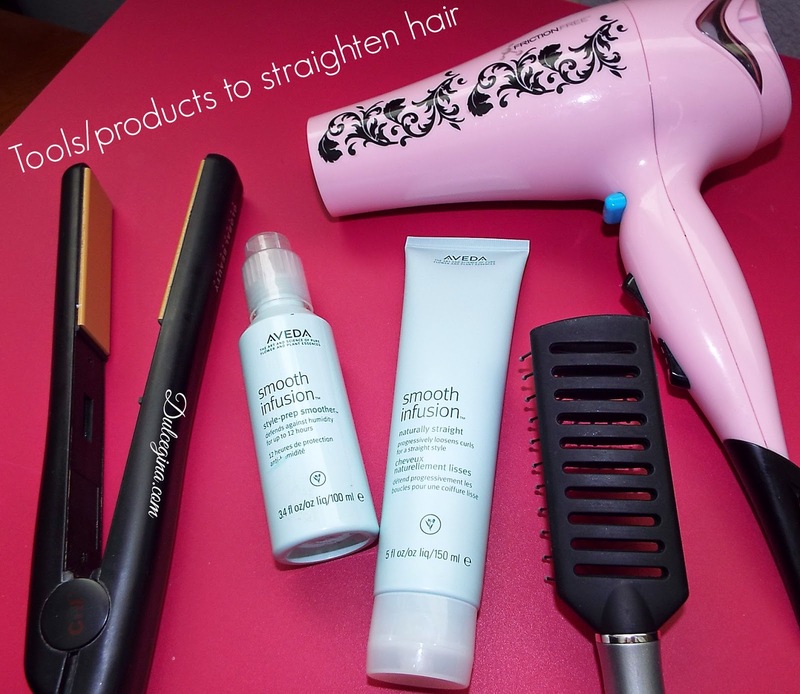 Step 4: Blow-dry hair straight using the brush of your choice. Flat iron if desired. I've been using these products for a couple of weeks now and they have worked pretty well. 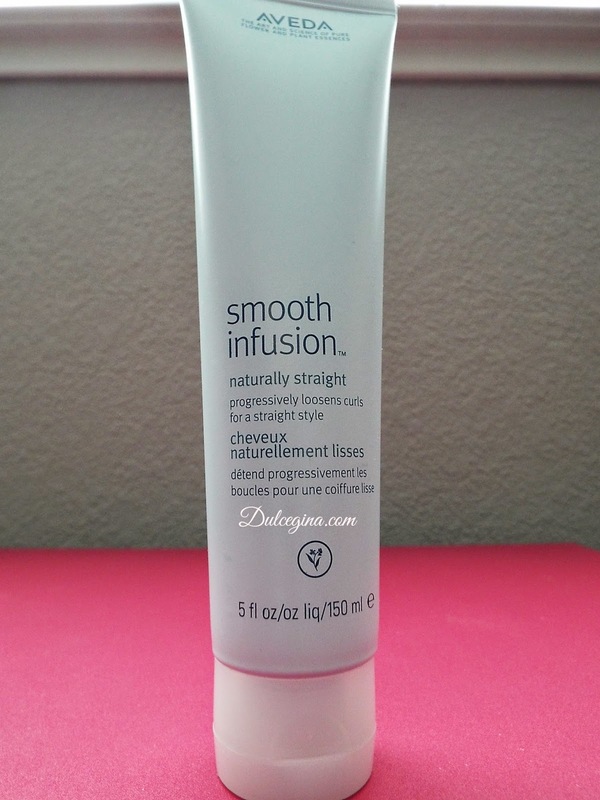 I use the shampoo and conditioner along with the Smooth Infusion Naturally Straight hair cream. I did notice improvement after using the Smooth Naturally Straight hair cream. It kept my hair straight in between washes. It made straightening my hair with the flat iron much easier, it took less time and it controlled the frizz in my hair. It's so easy to use and it smells really nice! I will continue to use these products and hopefully over time it will get better and better at smoothing my hair and reducing the time it takes to flat iron it! Where to buy: Retails for $26.00/5 oz., 150 ml Available at Aveda stores and salons and online at aveda.com. To find a location near you, visit aveda.com. *DISCLOSURE: I received a free product from SheSpeaks/Aveda to facilitate this review. All opinions are 100% my own.